Unique 3-in-1 protective formula. Active dirt remover. Weather protection. 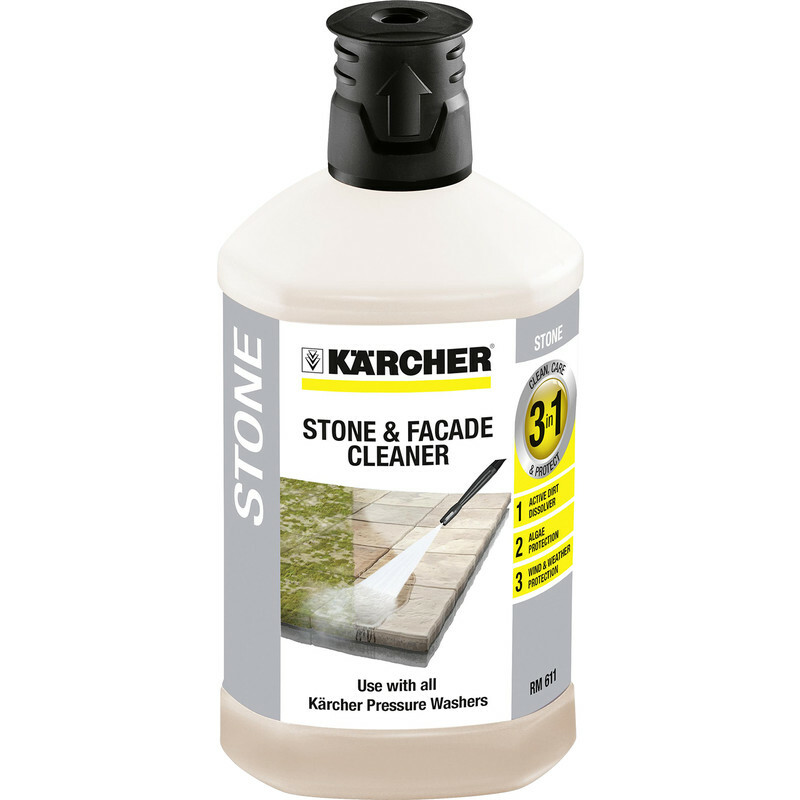 Karcher Stone Cleaner has a unique 3-in-1 formula including an active dirt remover, a protective formula to keep stone cleaner for longer, and weather protection. This product can be used on stone patios, walls and facades. Karcher 3-in-1 Stone Cleaner 1L is rated 4.0 out of 5 by 1. Rated 4 out of 5 by Ian999 from Works well I have Indian stone patio and pain to keep clean. This product worked well and I have a spotless patio.